Ready for the cutest cot linen ever? Last year we introduced to the quirky range at Bed Toppings (you may recall their scrumptious chocolate bar quilt covers). 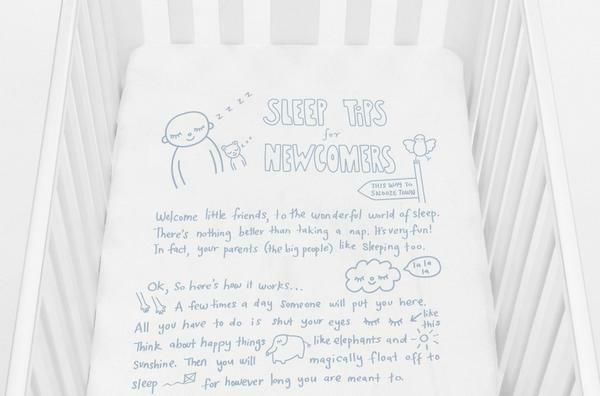 Well, designer Sophie Farquhar has done it again, this time creating cot sheets that raise the bar on adorable. 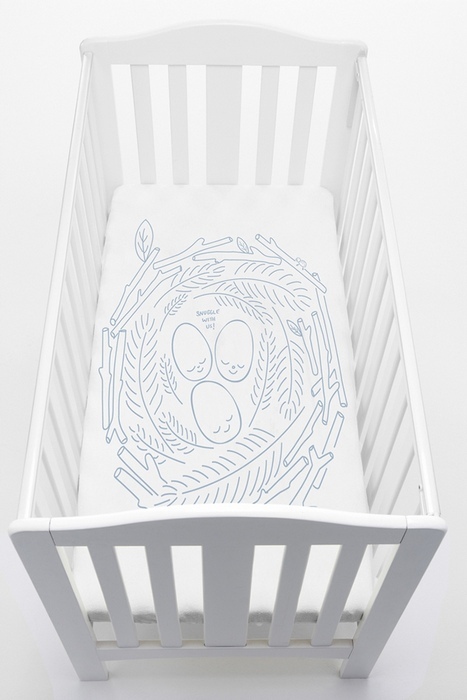 The cot sheets are generously sized to fit regular and large (Boori) cots and the neutral colours make them the perfect choice for a unisex nursery. The sheets are also made in Australia from pure cotton and printed with eco-safe Oeko-Tex 100 certification ink. Bed Toppings are offering an introductory price of only $52 each for the Nest or Sleep Tips designs (and delivery is free). Co-ordinating accessories are coming soon.